Customize Now! Guest Comments Book Now! Upon arrival in San Jose, your private shuttle will take you to the town of Turrialba where you will check into your hotel, Casa Turire. 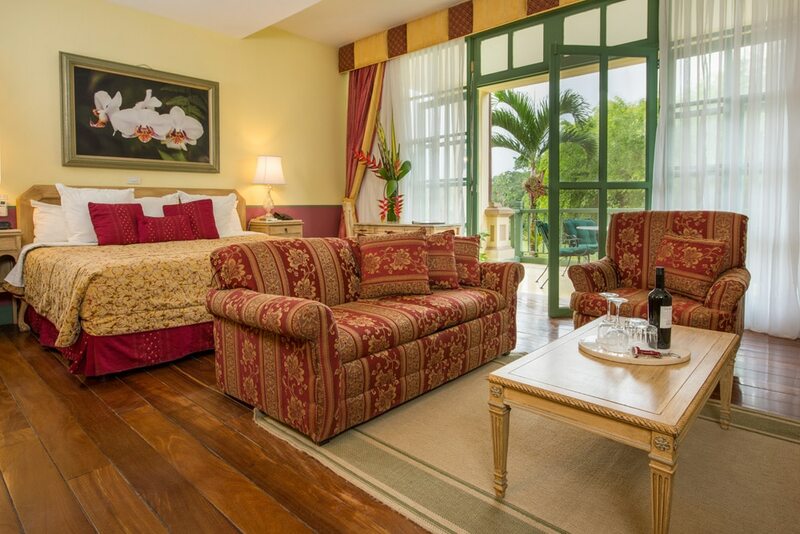 This beautiful colonial style hotel is set in amongst its own estate, teeming with wildlife and offers unobstructed views to the active Turrialba Volcano. This morning our guides will outfit you for an amazing overnight rafting expedition on the world famous Lower Pacuare River. 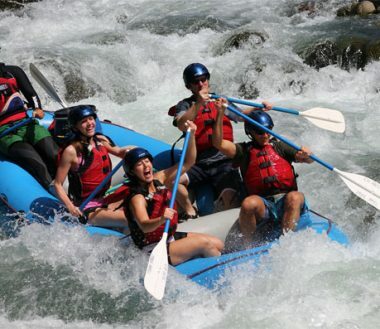 Enjoy 8 miles of exciting whitewater and riverside stops to hike up to hidden waterfalls. Check into the incredible eco-lodge and then it’s time to fly. 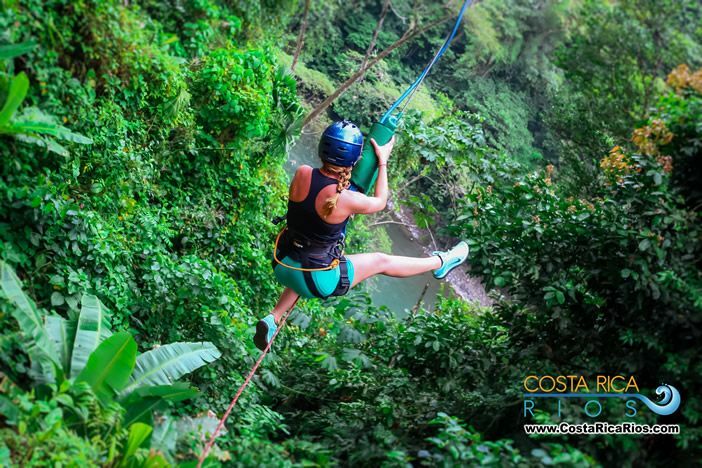 Zip through the treetop canopy and get a different perspective of the river, rainforest and its environs. For the brave there is also the amazing (and almost, heart-stopping) Tarzan Swing. 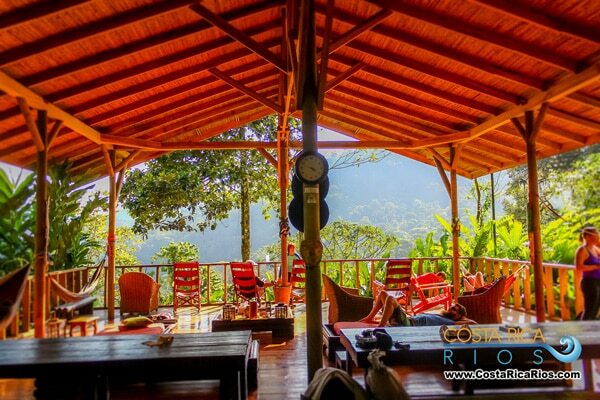 Overnight Pacuare Eco Lodge. Breakfast, lunch and dinner included. Your rafting trip continues down the most challenging section of the Pacuare as class IV drops seem to be around every corner. The spectacular river canyon and virgin rainforest create vertical walls of green, broken by waterfalls and hanging vines. 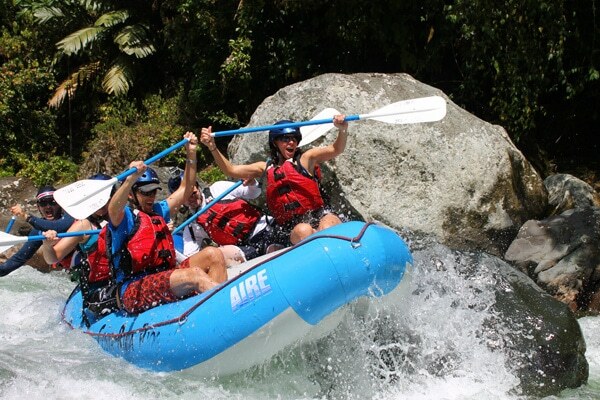 This stretch of the Lower Pacuare River has been voted one of the top 5 commercially rafted rivers in the world by National Geographic and will have you floating past primary rainforest, stunning waterfalls, steep canyons and fun class III and IV rapids. 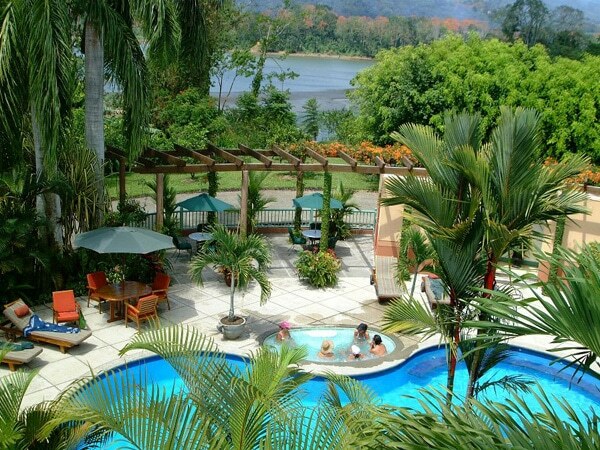 You will enjoy a sumptuous river picnic along the way before reaching the “take out” point in the Caribbean lowlands. 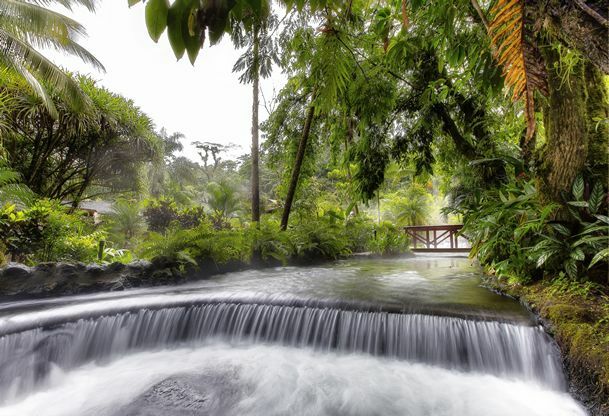 After an enjoyable ride you will continue your journey to Arenal where you will check into your hotel, Tabacon. Breakfast and lunch included. 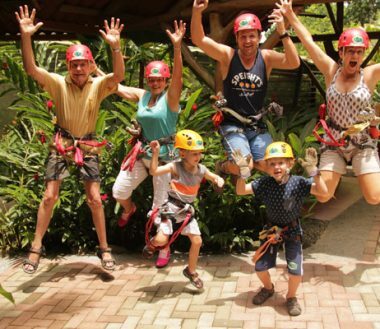 Start your day with an adrenaline inducing 140 ft rappel down a remote jungle waterfall. 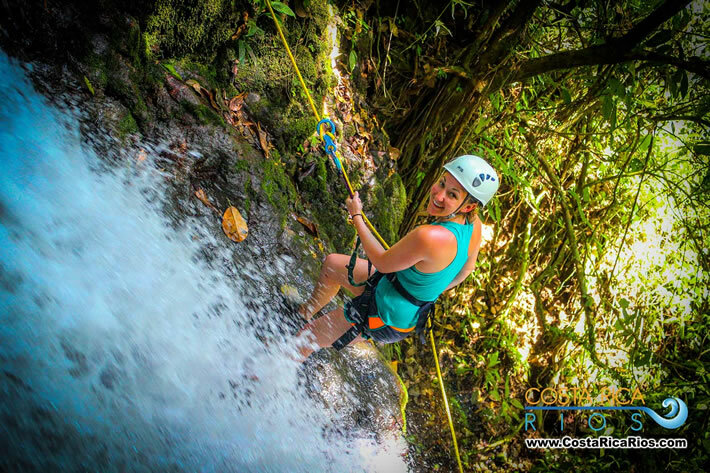 From there your day only gets more exciting as you hike through the rainforest before pushing your limits with a series of waterfall jumps into deep canyon pools. All you need in preparation are clothes to get wet in and a big sense of adventure! Overnight Tabacon. Breakfast and lunch included. 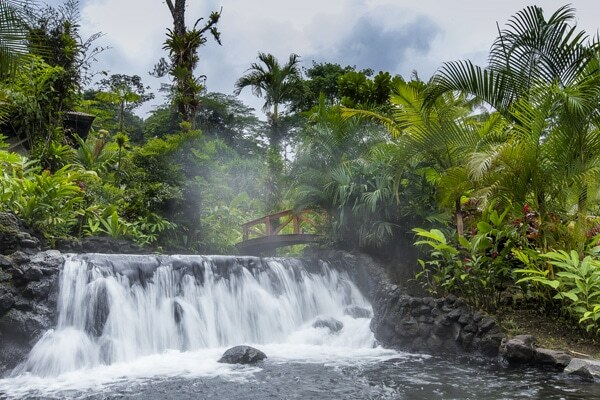 Why not spend your day at Tabacon’s magnificent hot springs and pools. 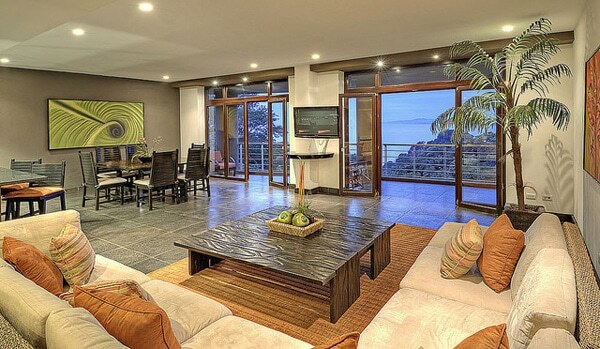 Our suggestion would be to head to Shangri-La, the adults only section, and find your own private piece of paradise. If you are feeling super indulgent, why not book a romantic couples massage at Tabacon’s award winning spa. Overnight Tabacon. Breakfast included. 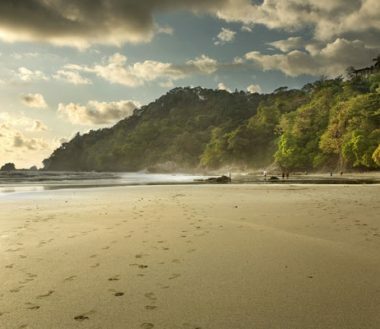 It’s time to head to one of Costa Rica’s premier beach resorts, Manuel Antonio, where you’ll check into The Preserve At Los Altos. This luxury hotel is set within 23 acres, boats its own hiking trails and beach and you are almost guaranteed to spot sloths and monkeys within the grounds. Breakfast included. You will have one double jet ski to take you on an exciting and breathtaking tour along the coast of Manuel Antonio. This is a fun morning seeing the coastline from the water and stopping off at some excellent snorkeling locations where you will swim with exotic tropical fish and be able to check out the abundant marine life. Overnight Los Altos. Breakfast included. 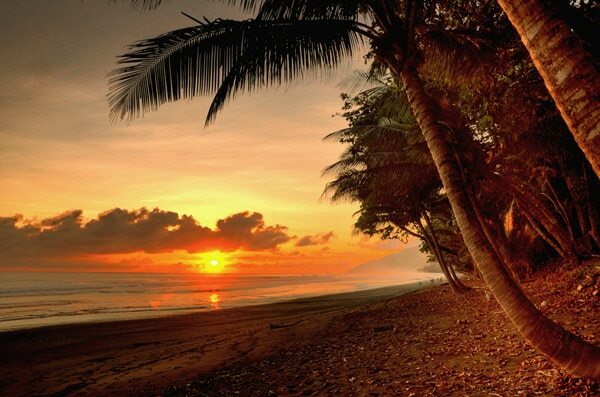 Costa Rica is known worldwide for its beautiful beaches perfect for surfing and it is a fun sport to learn. 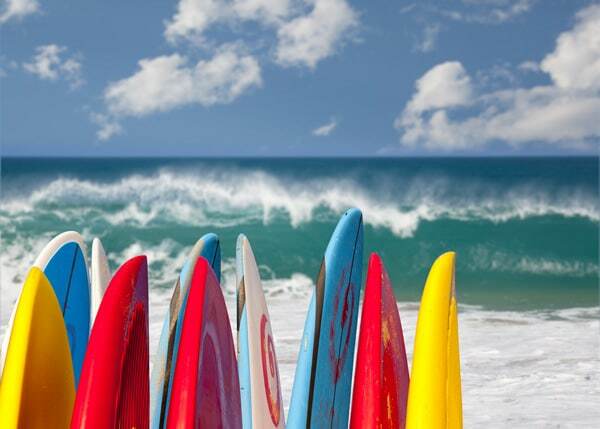 Lessons with a local surf school will make sure that you learn the basics of surfing in a smooth and safe way. Overnight Los Altos. Breakfast included. Relax. 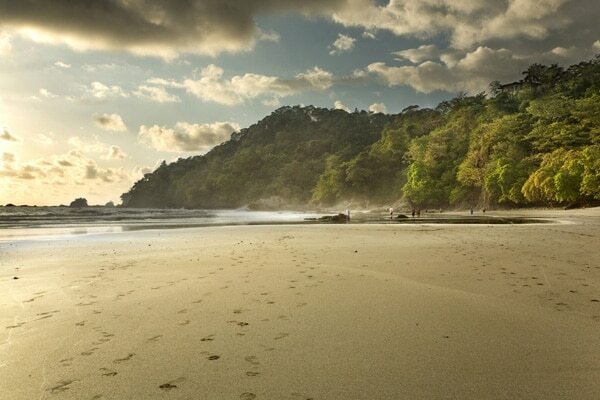 There is no better place in Costa Rica to kick back and unwind than Manuel Antonio. Our suggestion would be to head to the beach and enjoy your day playing in the ocean and enjoying the best sunsets on the Pacific Coast. Overnight Los Altos. Breakfast included.